340,000 Klm. Been regularly serviced. This is a 2001 Ford Laser sedan with an automatic transmission that has just been traded. What you see is what you get - good value for the money! This car seems to drive very well for its age. The engine runs sweet and does not rattle or blow smoke. Could do with a full detail. It needs roof lining put back up its sagging. 266,278klm. just out of rego pink slip only needed. 2002 FORD UTE, NO OIL LEAKS, OR WATER LEAKS. NEW TONNAU COVER, NUDGE BAR. ROOF LINING HAS SAGGED. NEW BATTERY. DRIVE ANYWHERE ON PERMIT. Here i have a 1981 xd falcon sedan. Is a 6 cyl column shift auto. Has rust in the bottom of the rear quarters and front guards also in the boot lid and bonnet and a couple of spots in the roof. Car is very straight for its age, there is no rust in the engine bay or around the boot seal, engine turns over by hand. For Sale. Quality work horse Automatic Alloy flatbed tray New tyres (80 percent all round) Cd player Spotlights Rebuilt motor (50000ks ago) Drives nicely Starts first go Comes with pink slip. Ready to be registered and driven. Can be driven on a permit. $1300 negotiable. No lowballers or time wasters Also comes with brand new bulk hoses and clamps etc. 2003 FORD FAIRLANE GHIA 5.4 V8, 164600KMS 7/8/19 REGO. XE 1984 Ford Falcon Wagon. NO RESERVE. We need it gone ASAP. Had enquiries regarding the completeness of the car. It is totally complete with no parts or trim missing. Original spare wheel and jack assembly is all there. New front brake rotors and pads. Recently replaced all the old seats with newer ones from a BA (front driver's seat is electric). Driven this car for the last 10 years. Good engine, doesn't leak oil - the head was reconditioned about 40,000 km ago (receipt available). 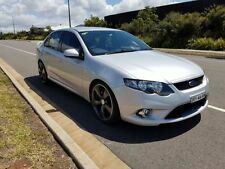 2005 FORD BA FALCON. Tyres- Will need four. Spare alloy is in the boot with a flat. No plates left on car. All vehicles are sold wholesale only with. If we do not hear from you the car will be relisted. Ford Fairlane 1997 NL GHIA good condition for age runs and drives well,reg till 28\04\19, front rotor and pads replaced needs little for rwc ( windscreen \ wiperblades ) service due 227,000 km ,however engine light is on. 4.9L matching numbers v8 174800kms. Rust in rear quarter panels. This beautiful Fairlane Ghia drives superb and is in overall very nice condition. Rego has run out and will be sold as is. Will need very little for RWC if anything. Its a lovely luxury vehicle with a smooth powerful V8. GREAT LITTLE VAN FOR CRUISING AROUND IN GETS PLENTY OF LOOKS FOR ITS UNIQUENESS. HAS HAD NEW TYRESRECENTLY. Ford Falcon BA 2004 XR8 260 5.4 ltr V8 enhanced by Herrod Motorsport- Big bore exhaust (Extractors)- GT Stripes - Cold air intake system. Rego July 2019. FORD RARE BA XR8 2003 IN EXCELLENT CONDITION. VERY TIDY CAR. FOR INSTANCE – FAIRMONT HEADLINING WITH SUNGLASSES HOLDER AND EXTRA LIGHTS, 6 SPEAKER SURROUND STEREO. FULL CLOSED DOOR RESPRAY IN THE ORIGINAL COLOUR FORD ACID RUSH. Ford XR6 Ed 1994. Stunning wagon, one to be appreciated. Momo wheel Tbar auto shark mags with near new pirellie tyres. NO rust paint was peeling hence paint job. 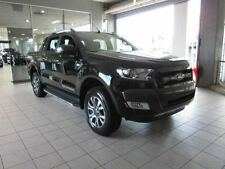 Tickford motor 170,000ks. Everything works A\C power etc. I am the second owner, I bought it off the original owner in California and imported it. It was his daily driver from new. Located in Brisbane area. -Leave it as is, or build your own way! -Minor rust on bottom of guards.